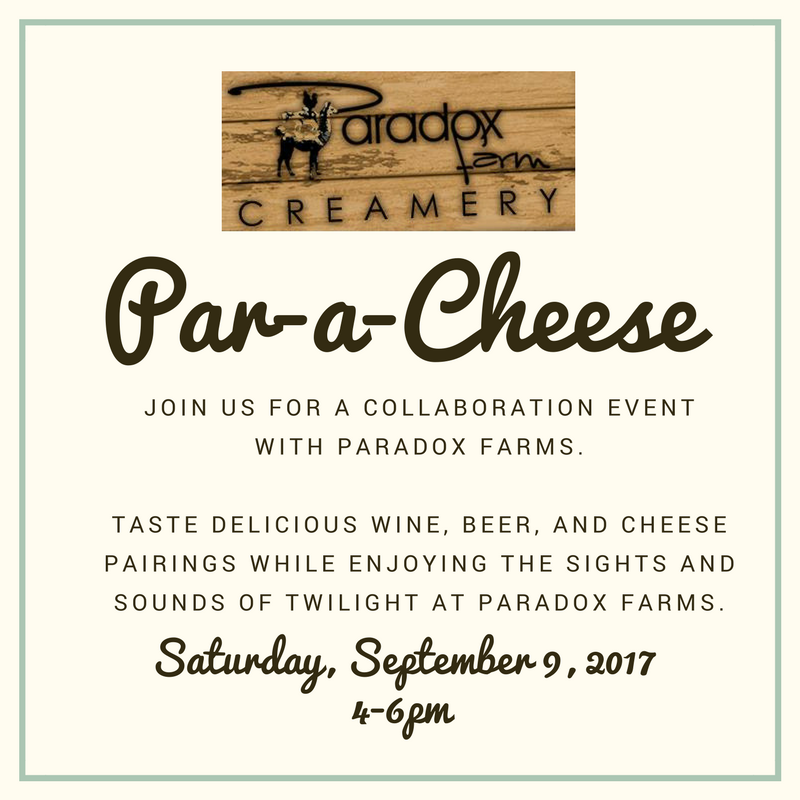 Enjoy the twilight at Paradox Farm while tasting our cheese and pairing them with wine from Black Rock Vineyards and beer from the Rail House Brewery. From 4-6 pm, while the goast are still active, milking is taking place and the chickens are still free ranging, you will wander around the farm, pause to enjoy the bonfire and the evening sights. Just like living the dream without the work! This is an opportunity to enjoy the farm and learn about how cheese pairs best with a variety of compliments. We are reaching out to our local producers to bring you award winning wine and beer. Tickets are $30 per person and includes a complimentary take home glass.